Quantum information science strives to utilize the fundamental laws of physics to achieve revolutionary improvement in computation, communication, and sensing. Existing quantum protocols rely on a wide variety of physical platforms for storing, transferring, and processing of quantum information. Optical photons are the ideal carriers of information because of their low loss, large bandwidth of transmission, and resilience to thermal noise. However, the task of processing quantum information is exceedingly difficult to achieve in the optical domain because of the weakness of optical nonlinearities. Alternatively, superconducting quantum circuits provide a scalable means of storing and processing quantum information in the microwave regime but lack a mechanism for long-range information transfer. Hybrid quantum networks promise to combine such essential functionalities in a system where superconducting processing nodes are joined via optical communication links. An integral element in this architecture is a quantum interconnect capable of interfacing the electrical and optical components across an immense frequency gap. I provide a summary of my past and current research on optical and microwave quantum systems and outline my future research directions, which aim to develop nano-engineered devices for entangling superconducting qubits with telecom-band optical photons and long-lived phonons. 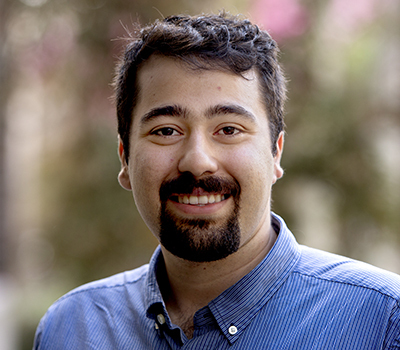 Mohammad Mirhosseini is currently a Kavli Postdoctoral scholar at the California Institute of Technology working in Oskar Painter’s group. He received his Ph.D. in 2016 from the Institute of Optics at the University of Rochester, where he was advised by Robert W. Boyd. His doctoral research studied quantum information with structured light and was recognized by the Carl E. Anderson award from the American Physical Society and the Emil Wolf prize from the Optical Society of America. His postdoctoral research aims at entangling distant superconducting qubits and developing integrated devices for interfacing qubits with traveling photons.